Most heat is lost from a pool during the evaporation of water from the pool surface. Hence by reducing the evaporation of water, the heat loss from the pool is also reduced. By forming a molecular layer over the pool water, COVERFree reduces evaporation from the pool surface and hence reduces heat loss from the pool. On indoor pools, savings are therefore made on both pool heating and dehumidification running costs. Compared to a pool with no cover, COVERFree significantly reduces water evaporation and hence reduces heat loss from the pool. COVERFree also costs less to use than other liquid pool cover products. Reduction in liquid pool cover required by using COVERFree = 66% per year! 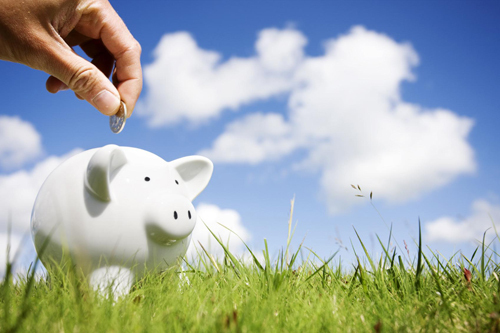 Reduction in operating cost by using COVERFree = 60% saving ! "I have a 8.5 x 4.5 x 1.8m pool. With my heat pump, I heat the water to +28C. Morning temperature before I start using a Coverfree is 20-21C (air temperature at night is +13). With Coverfree +25-25C, so its real saving for my pool heating costs !